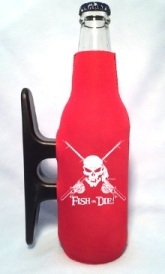 WHITE/RED HOGFISH 'REEF RAIDERS' CAP WITH SPEARGUNS, SKULL, AND HOGFISH. 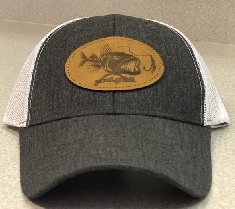 Reef Raiders "Hogfish - Dive Spearfishing Cap" - Sports REEF RAIDERS with crossed spearguns on front of cap, Hogfish and Dive flag on side. 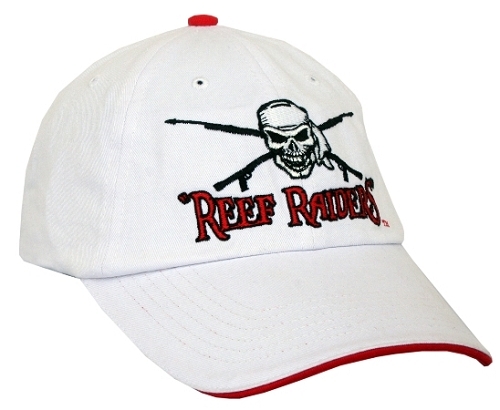 Rule the Reef with this awesome Reef Raiders Hogfish Spearfishing Dive cap!